Recently, we addressed some issues and adjustments that parents who are the primary caregiver of children often deal with during the summer. If you are not the primary caregiver, you will likely face some changes over the coming months as well. As part of your child time sharing arrangements, you may be allowed extended visits with your child, which may even last for weeks or months at a time. Being a full time parent and handling your various responsibilities can prove challenging, but the following can help ensure you make the most of this special time you get to spend with your child. Under the Florida Statutes, in cases of divorce or when parents do not live together, parental responsibilities are divided between both parties. Depending on the child’s age, their previous relationship with each parent, and where the parties reside, one parent may be named as the primary caregiver, while the other sees the child over weeknights, weekends, holidays, and other special occasions. Establish rules up front and avoid overindulging the child during their visit. 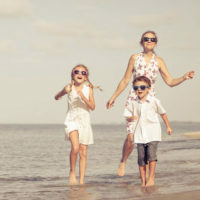 Florida parenting plans generally provide detailed guidelines for handling different types of situations that are likely to occur during the time your child is with you. For example, if childcare becomes an issue during your child’s stay, the parenting plan may have provisions that the other parent be notified. It may also include restrictions on who may be present when the child is at your home. Be aware that violating any terms previously outlined in a family court order could put your rights as a parent in jeopardy. If you are prevented from seeing your child, face heavy restrictions, or otherwise do not get the amount of parenting time you would like, call or contact attorney Vanessa L. Prieto online and request a consultation to discuss your case. Our legal team can protect your rights and advise you on the best course of action to ensure you play an active and engaged role in your child’s life. Depending on your situation, we may be able to help in putting a parenting plan in place, or in modifying an existing order. Reach out and contact our office today.